IF HIKING RUNS THROUGH YOUR VEINS... ... then this is the place to be! Based in Kuala Lumpur, Malaysia, we organise hikes • for small and big groups; • for beginners and experienced hikers; • from very easy to very challenging; • one day trips and multiple day hikes; • mountains, volcanoes, rainforest, waterfalls; • as well basic as all-in packages; • in Malaysia and abroad. Our professional guidance and countless years of experience always assures a safe hiking trip for you and your hiking group. After all, safety is our main priority. 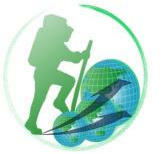 Even if you are not a hiker, but want to explore the rainforests at their best, we have something to offer you. Rental of hiking gear is possible, so nothing withholds you to explore... Although we are offering standard packages, our speciality remains designing a hike which suits you and your group perfectly. We are here to let you enjoy an unforgettable experience. Don’t hesitate to contact us for more details. 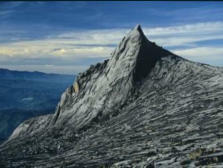 PLANNED & SCHEDULED EVENTS (*) 25/11/2013 - 29/11/2013 Mount Kinabalu - 40 pax - optional Via Ferrata. 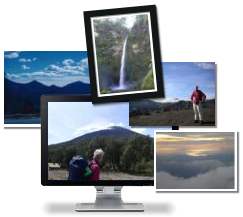 29/11/2013 - 02/12/2013 Mount Tambuyukon (Sabah) 13/01/2014 - 14/01/2014 Mount Bromo and Mount Ijen (Java, Indonesia) 18/01/2014 - 19/01/2014 Buniayu Caving & Trekking Mount Padang (Indonesia) 01/03/2014 - 02/03/2014 Mount Tampomas (Indonesia) 29/03/2014 - 31/03/2014 Mount Krakatoa (Indonesia) 05/04/2014 - 06/04/2014 Halimun - Salak National Park Trekking (Indonesia) 17/04/2014 - 20/04/2014 Triple S - Mount Slamet, Sindoro & Sumbing (Indonesia) 30/04/2014 - 06/05/2014 Jogja Adrenaline - Rafting, Caving, Tubing, Culture, Trekking (Indonesia) 03/05/2014 - 04/05/2014 Island Hoping at Thousand Island (Indonesia) 15/05/2014 - 18/05/2014 Rafting Cicatih 57km (Indonesia) 23/05/2014 - 29/05/2014 Nabire - Halmahera (Indonesia) 07/06/2014 - 08/06/2014 Baduy Tribe Trekking (Indonesia) 21/06/2014 - 23/06/2014 Mount Gede Trekking via Putri (Indonesia) 0507/2014 - 06/07/2014 Karimun Jawa National Park (Indonesia) 12/07/2014 - 13/07/2014 Mount Gede & Pangrango Trekking via Cibodas (Indonesia) 26/07/2014 - 27/07/2014 Papandayan Trekking (Indonesia) 25/07/2014 - 29/07/2014 Mount Bromo & Semeru Trekking (Indonesia) 02/08/2014 - 05/08/2014 Jogja Triple M - Mount Merapi, Merbabu & Malioboro (Indonesia) 23/08/2014 - 24/08/2014 Mount Lawu Trekking (Indonesia) 25/08/2014 - 31/08/2014 Mount Rinjani (Lombok, Indonesia) 01/09/2014 - 09/09/2014 Hanoi - Pu Luong - Fansipan - Sapa (Vietnam) 04/09/2014 - 07/09/2014 Mount Kerinci Trekking (Indonesia) 03/10/2014 - 06/10/2014 Ujung Kulon National Park (Indonesia) 24/10/2014 - 26/10/2014 Dieng and Sikunir Trekking (Indonesia) 22/11/2014 - 23/11/2014 Mt. Gede Trekking via Salabintana (Indonesia) 06/12/2014 - 07/12/2014 Baduy Tribe Trekking (Indonesia) 10/12/2014 - 15/12/2014 Pinatubo Volcano (Philippines) (*) Events which are still in the planning stage do not have a link to a separate web page. New event? Shall we inform you?